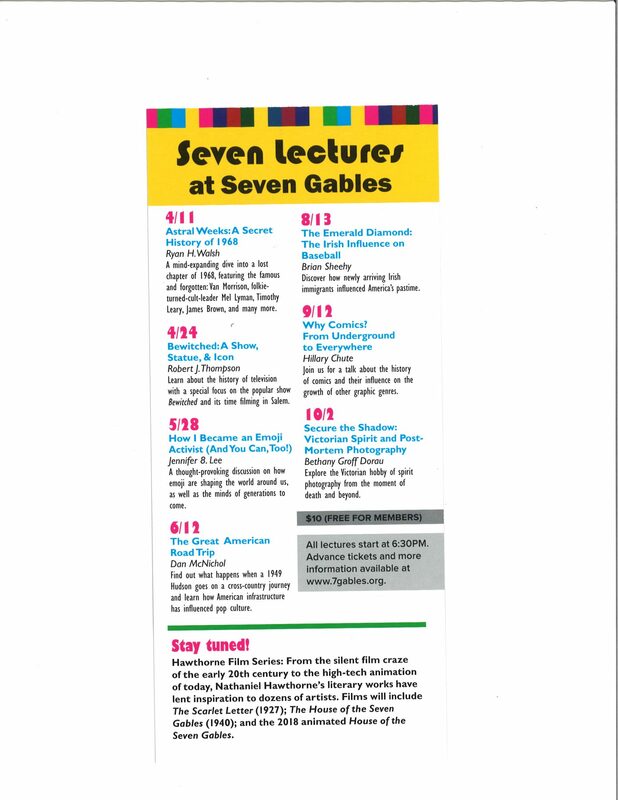 Seven Lectures at Seven Gables is a lecture series that was created to introduce local residents, visitors, members and supporters to ideas and information that illuminate the mission and vision of The Gables as well as honoring the connection to Nathaniel Hawthorne. Each year, the lecture series complements ongoing research. In 2019, the lecture series will focus on pop culture. Past lecturers include esteemed historians, authors, celebrities, educators, musicians, and artists. 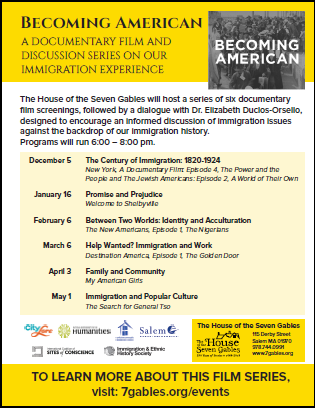 In keeping with our Settlement mission, The Gables hosts a series of community dialogues to address topics in immigration and immigration reform. Unlike a traditional lecture, the Community Conversations encourage discussion between the speaker and audience members during the course of the presentation. In 2019, we were one of 32 historic sites in the country granted funding to share the Becoming American series. The Gables presents an annual exhibition that encourages staff and volunteers to delve into the past of the famed mansion and share its stories with a wide and diverse audience. New research is presented through curated informational panels and objects from the organization’s collection. Our 2019 exhibit, Pop! Goes The Gables, opens on April 5. Discover one of New England’s most iconic houses and enjoy this charming National Historic Landmark site in a unique and enchanting way during the month of October. 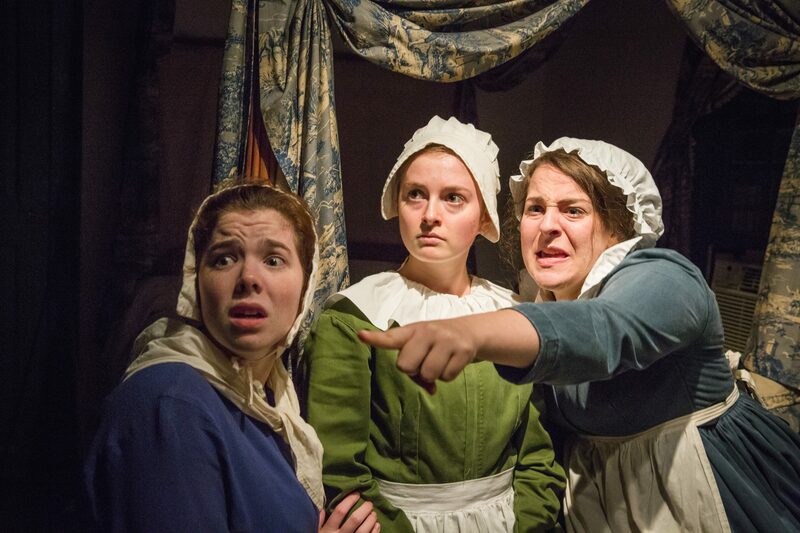 On select weekend nights in October, step into the world of Salem author Nathaniel Hawthorne as you experience two dramatic theatrical performances played out within historic houses connected directly to Hawthorne himself. The Legacy of the Hanging Judge and Spirits of The Gables were created in 2001 by local writer Anne Lucas and have been performed on October weekends since then. Additional programming is planned with a goal to engage our diverse audience with the National Historic Landmark District historic site. Past events have included first-person interpretive experiences, community days, theatrical and musical experiences, and art events. Lectures outside of the Seven Lectures series that highlight the mission and vision of the organization have been offered by outside scholars and staff with particular areas of expertise. If you are interested in presenting at The Gables please call 978-306-7003 or jarrison@7Gables.org.